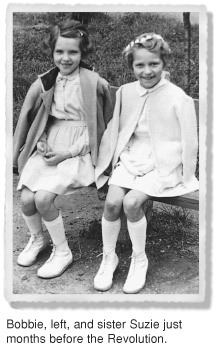 Through the eyes of a child, Bobbie Kalman writes about her family’s dramatic flight to freedom and her experience as a refugee. Refugee Child is the compelling story of children’s author Bobbie Kalman’s experiences as a young girl during the Hungarian Revolution in 1956. A touching roller-coaster ride of emotions, Kalman writes her story from the perspective of a nine-year-old. She relives both her frightening experiences, as well as some warm and funny memories of her family and their flight to freedom. 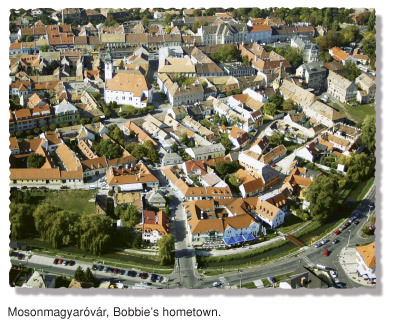 Refugee Child begins in Bobbie’s hometown of Mosonmagyaróvár, Hungary, where a peaceful protest against the Communist government is met with violence by the Hungarian secret police. On her way home from school, Bobbie sees truckloads of wounded and lifeless bodies being brought to the hospital. She then finds her family in panic and confusion, trying to account for four family members who took part in the protest. Over 100 people were killed and more than 200 were wounded that day in the massacre that took place in her town. One of her aunts, who was in the front line of the protest, came home with a bullet hole in her jacket.